On June 3, 1977, Island Records released Bob Marley & the Wailers ninth studio LP “Exodus” and being both a music lover and the nostalgic sort, I’ve been revisiting this great album via my Spotify streaming service. How we listen to music—mp3 versus vinyl—certainly has changed dramatically since 1977, a critical year in music, back before the world had seen it’s first MTV video. In general, 1977 was a wild year marked by the crazy events of the Summer of ’77. While lots has happened in the 40 years since the sounds of Marley’s remarkable record first broke the audio barrier, great music is still great music. Copyright with Lyrics Kobalt Music Publishing Ltd., Sony/ATV Music Publishing LLC, Universal Music Publishing Group, Warner/Chappell Music, Inc..Written by BOB MARLEY, NEVILLE ORIL LIVINGSTON. With cuts featuring song titles like “Natural Mystic,” “Guiltiness,” “The Heathen,” “Exodus” and “One Love” it evident that Bob Marley & the Wailers 9th record covers soulful themes and flows from deep spiritual roots. The album incorporates elements of blues, soul, funk, and British rock. The songs for the album were penned and created after an assassination attempt was made on Marley and his wife Rita in December of 1976, causing Marley to leave his lifelong home of Jamaica to spend exile in London. The mid-to-late 1970s were a turbulent political time in Jamaica and the title track “Exodus” was written by Marley in response to what was happening in his homeland. The album is pure reggae and is exemplified by funky grooves and political overtones. It’s Martin Luther King Jr’s “I Have A Dream” speech or Lincoln’s “Gettysburg Address” with a reggae vibe and groovy beat. Reggae is a Caribbean blend of musical elements culling from rhythm and blues, jazz, mento, calypso, African and Latin American music. Reggae is played in 4/4 time due to its symmetrical rhythmic pattern making it nearly impossible to do in other time signatures. Reggae mixes offbeat rhythms and staccato chords to create a unique sound. Popular music typically center on beat One, also called the “downbeat”. By accenting the 2nd and 4th beats in each bar combined with the drum’s emphasis on the 3rd beat creates an infectious, groovy vibe. The Wailers are a band of self-taught musicians that united their talents in 1963. The founding members included Hubert Winston McIntosh (Peter Tosh), Neville Livingston (Bunny Wailer) and Robert Nesta Marley (Bob Marley). The original members parted ways in 1976. 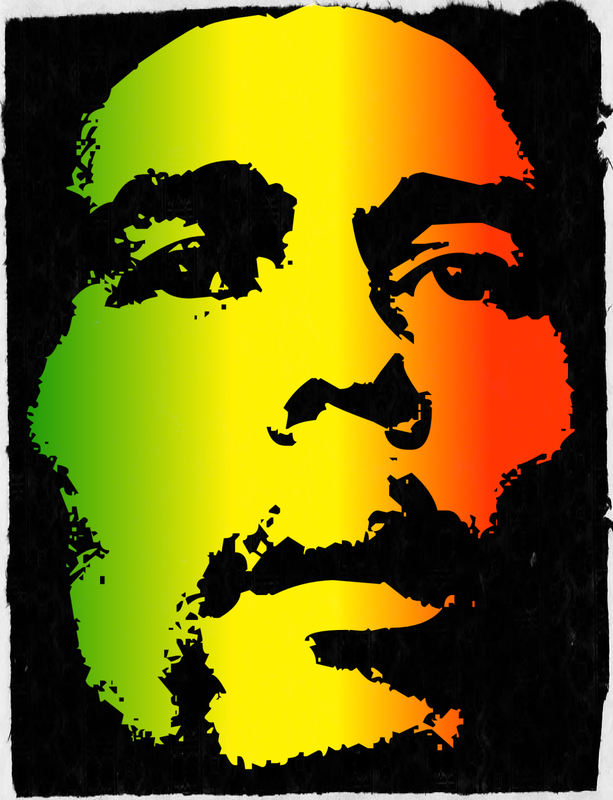 Despite the breakup, Marley continued to make music under the “Bob Marley & the Wailers” name. “Exodus” was the first LP to feature the new Wailers lineup consisting of brothers Carlton(drums) and Aston Barrett (bass), Al Anderson, Earl “Chinna” Smith, Donald Kingsley, and Junior Marvin rotating out on lead guitar, Tyron Downie and Earl “Wya” Lindo on keyboards, and Alvin Patterson on percussion. The new band also featured the “I Threes” — Judy Mowatt, Marcia Griffiths, and Rita Marley— singing backup vocals. By the end of the 20th Century, Bob Marley and the Wailers “Exodus” was frequently featured among the lists compiling the “Greatest Albums of the Century.” In 1999, Time Magazine named “Exodus” the best record of the 20th Century. So do yourself a favor and expand your musical horizons by checking out “Exodus,” by Bob Marley and the Wailers.